iMeetzu is just another site like Omegle but it stands out to be unique from it’s alternate features which may not enrolled in any other random chat site. 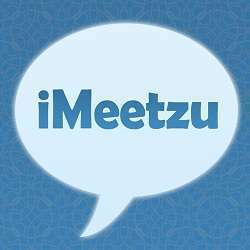 iMeetzu is offering combine services at one place therefore it meant to be best site for random chat with strangers. iMeetzu is live on year 2009, started with live video chat and text chat but later on they commenced social media platform to help users to share their personal information. But somehow it didn’t worked well because of issues with misuse of private information So it was cleared recently but profiles option is still available to check strangers profile to know more about them. iMeetzu is currently serving more than 10,000 Registered Users and they still dealing with their improvements on site to give more functions like password reminder, users online status and adding music or videos in profiles. There are many alternative sites like omegle but why iMeetzu is one of the best site to start chat with strangers online? May be considering that it has more features and faster live cam chat performance that may be not possible in any other omegle alternative. 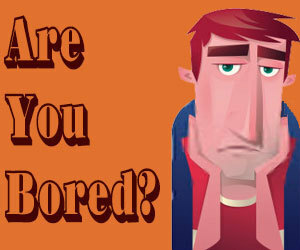 While if you are bored with other social media site staring same faces then you can give try seeing that it has lot of strangers online for video chat and there are chances to talk to strangers girls. ✔ Free Live Video Chat and Text Chat– iMeetzu has both way to help users to communicate with each other either you can choose video chat or text chat. Although they are trying hard to optimize their talk to strangers with webcam. ✔No Registration Required – Basically you don’t need to register to start chat with strangers since it has given choice to create own profile or chat with strangers anonymously. ✔Instant Messenger – iMeetzu is allowing users to talk to strangers at click away yeah! you really don’t need to register for chat. ✔iMeetzu App for Android/iPhone – Recently it has come up with their mobile apps for android and iPhone with full chatting functionality and features like webcam chat. ✔Group Chat rooms – You can use chat rooms to chat with lot’s of online strangers around the world. ✔Talk to Strangers Girls Instantly – iMeetzu is having selective option for this where you can find only girls to chat. Chatting with omegle girls will be bit tough but imeetzu given place to start chat with girls online directly. ✔Personalized Profile – iMeetzu has featured their user profile option where user can fill their information So that strangers can get to know each other. ✔Optimized Navigation – It’s true that iMeetzu is also using well hybrid servers for their website service and their website navigation is really work like charm. ✔Search People – I find this feature bit healthy since you got choice to select strangers according to your priorities like country,gender etc. Accordingly iMeetu got same features where sites like omegle had since it’s your chance to meet new strangers online though it has also lot of users online to kill your free time isn’t so give a try and let me know if you any site like iMeetzu in below comments!